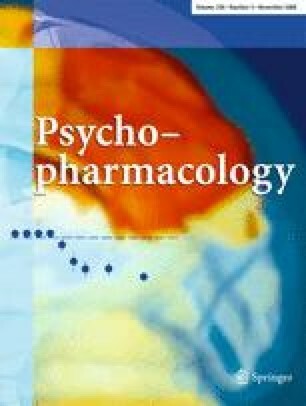 Although opiate antagonists have shown promise in the treatment of pathological gambling (PG), individual responses vary. No studies have systematically examined predictors of medication treatment outcome in PG. Understanding clinical variables related to treatment outcome should help generate treatment algorithms for PG. We sought to identify clinical variables associated with treatment outcome in PG subjects receiving opiate antagonists. Two hundred eighty-four subjects [137 (48.2%) women] with DSM-IV PG were treated in one of two double-blind placebo-controlled trials (16 weeks of nalmefene or 18 weeks of naltrexone). Gambling severity was assessed with the Yale Brown Obsessive Compulsive Scale Modified for Pathological Gambling (PG-YBOCS) with positive response defined as ≥35% reduction in PG-YBOCS score for at least 1 month by study endpoint. Depression, anxiety, and psychosocial functioning were included in stepwise logistic regression analyses designed to identify clinical factors independently associated with treatment response. The clinical variable most strongly associated with a positive response to an opiate antagonist was a positive family history of alcoholism (p = 0.006). Among individuals receiving higher doses of opiate antagonists (i.e., nalmefene 50 or 100 mg/day or naltrexone 100 or 150 mg/day), intensity of gambling urges (PG-YBOCS urge subscale) was associated with a positive response on a trend level (p = 0.036). Among individuals receiving placebo, younger age was associated, on a trend level, with positive treatment outcome (p = 0.012). A family history of alcoholism appears to predict response to an opiate antagonist in PG. Future research is needed to identify specific factors (e.g., genetic) mediating favorable responses. This research was supported in part by a Career Development Award (K23 MH069754-01A1) (JEG), a grant from NIMH (R21-MH065920) (SWK), an educational grant from BioTie Therapies Corporation, Turku, Finland, and support from the U.S. Department of Veterans Affairs (the VA Connecticut-Massachusetts Mental Illness Research, Education and Clinical Center (MIRECC)) (MNP). All procedures comply with the current laws of the United States of America. Dr. Grant has received research grants from Forest Pharmaceuticals, GlaxoSmithKline, and Somaxon Pharmaceuticals. Dr. Grant has also been a consultant to Pfizer Pharmaceuticals and Somaxon Pharmaceuticals and has consulted for law offices as an expert in pathological gambling. Dr. Kim reports no competing interests. Dr. Hollander has received a research grant from and served as a consultant to Somaxon. Dr. Potenza consults for and is an advisor to Boehringer Ingelheim, receives research support from Mohegan Sun and Forest Laboratories, has consulted for Somaxon and BioTie/Oy Contral, has financial interests in Somaxon, and has consulted for law offices and the federal defender’s office as an expert in pathological gambling and impulse control disorders.